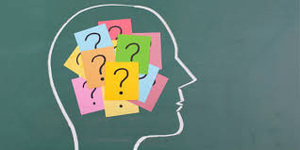 This program presented by the Alzheimer's Association Hudson Valley Chapter provides basic information everyone needs to know about memory-loss issues and what they mean for all of us. The program covers warning signs of dementia, differences between dementia and Alzheimer's disease, how Alzheimer's affects the brain, how to get a diagnosis, stages of the disease, treatment options, research and services. Registration is required; register online on our online calendar here or call 914-232-5717.